Richardson Commercial has recently acquired an additional site for Harrods, the world famous retailer who has recently signalled it's intention to relocate it's depository to the 250,000 warehouse on Thatcham which was originally developed by Gazeley. 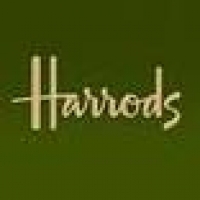 Paul Richardson who undertook the task said "To be asked to act for Harrods really is a feather in our caps. We were delighted to help"
Harrods have purchased the freehold interest in 1.7 acres of industrial land close to their new distribution centre. .